New Orleans is a city that is rich in historic value. Known for jazz music, Cajun jambalaya, and, of course, Mardi Gras, New Orleans is a city that knows how to party. 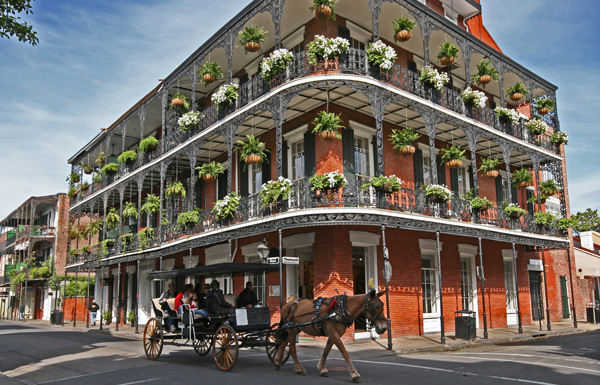 With so much to do, New Orleans ranks among the top tourist destinations in the United States. Whether you are looking for a historic lesson or a modern good time, you’ll find it in this diverse melting pot. Here’s a city highlight of The Big Easy, New Orleans. New Orleans has countless historic monuments that go into making up a rich history. From the French Quarter and Jackson Square, to City Park and the St. Louis Cathedral, there are countless of landmarks to see while you are in town. Even though New Orleans has been hit with numerous hurricanes over the years, no storm will ever be enough to tear apart what this city has to offer. When you visit New Orleans, get ready to go deep into history and learn about everything The Big Easy has to offer. Come to New Orleans with an appetite, as there are tons of tasty feasts for you to enjoy. The Big Easy is known for having food that is influenced by Cajun recipes, so you’d better be able to handle the heat. Stop by The Palace for classic New Orleans cuisine that includes alligator sausage pistolette, duck spring rolls, and their famous crab claws remoulade. If you’re in the mood for lunch, Mr. B’s is second to none in the French Quarter. Whether you are looking for fine dinning, cheap eats, or classic Big Easy tastes, you can find it in New Orleans. Get ready to kick up your boots as you dance, because the night never ends in New Orleans. There are countless bars open along Bourbon Street, but that’s not the only place to take in some Big Easy entertainment. Head over to Frenchman Street for a more adult environment and enjoy a cocktail with someone special. Or if you want to see if you can strike it rich, head over to Harrah’s Casino to spin the slots or play a hand at the tables. After a day of sightseeing and eating, you’ll be in for an endless night of fun in the Big Easy. New Orleans loves its visitors. And once you visit, you’re sure to fall in love with New Orleans just as much. If you’re looking for a place to visit and you want something that the entire family will enjoy, set your destination towards New Orleans. A classic mix of historical interests and modern excitement will surely entertain everyone in the family. Getting ready to hit the road in you RV this fall? If so, you’ll want to make sure you have plenty of tech options inside and out of your rig. After all, what good is taking your home on wheels with you if you can’t do everything that you’d expect to do at home? Once you get on the road, you are going to be happy that you have plenty of audio options to listen to. Whether it’s Top 40 on your iPhone or an Audible book on your Kindle, there are tons of things to listen to while traveling. Here’s a look at some of the best music accessories for your RV, all of which will help you take your entertainment experience to the next level. The first thing that you’ll want to determine is the source from which you’ll get your music. Luckily we live in a generation where you don’t have to lug along your favorite book of CDs or cassette tracks. Instead, you can easily load all of your favorite music, audiobooks, and other files onto the cloud, and then access them from wherever you go. However, before you hit the open road, make sure that all of your audio solutions are figured out. Whether you’re loading up your tablet with movies or filling your smartphone with music, the last thing you want to do is get on the road and realize that none of your entertainment options are ready to go. When choosing a rig, consider how important your music and audio is. If you plan on having people over to your RV and entertaining, then you’ll want to make sure that you have speakers that can handle a crowd. Built in surround sound will play throughout the inside and outside of your RV. This means that no matter where you are sitting around the rig, you and your guests will be able to listen to the music that is playing from the main console. RV owners who don’t have the best surround sound aren’t completely out of luck. Instead, they can rely on Bluetooth speakers as a great alternative option. Bluetooth speakers can be synced with an audio source anywhere and then placed anywhere inside our outside of your RV. 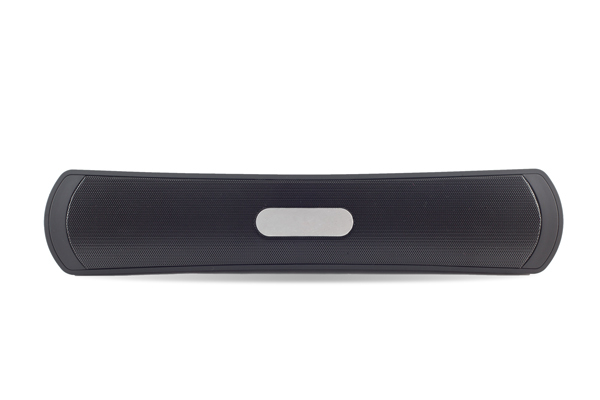 Bluetooth speakers are also a worthy investment because you can take them with you anywhere you go. So whether you are sitting around the campfire or you upgrade your RV to a newer rig, you can bring your favorite Bluetooth speakers along with you. Don’t forget to bring a good set of headphones along with you while traveling. When inside the RV, headphones let you listen to your music without bothering others. Or if you get up early and hit the trails for a run before the kids wake up, your headphones will be the perfect running mate. Store a good set of headphones in your RV, and they’ll be readily available when you need them. No road trip is complete without your favorite music and other audio along for the ride. Be sure to consider these music accessories for your RV and you’ll always have the perfect tune. No camping experience is complete without some tasty treats to fill your belly with. Whether you are eating for one or looking to make something that the entire family will enjoy, there are some really special treats that you can make during autumn that will get you in the fall spirit. What’s great about these recipes is that they are also quick, easy, and perfect for the conditions you may experience in the wilderness. What sort of foods might you want to prepare before heading out camping this fall? Some of favorites include the use of pumpkin, apple cider, caramel, potato and more. If you are heading to the grocery store and wanting to fill up on goodies that you can make, that’s a great place to start in fall. You can also add your unique fall touches to each of these recipes for your own special touch. Your family is going to love how prepared you are for this camping season. In addition, they’ll be equally as excited for what will be on the campfire after a long day out in the wilderness. Here are our favorite 3 camping recipes to get you in the fall spirit. 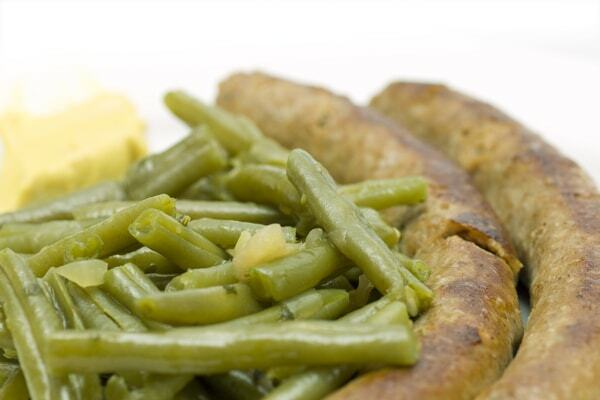 We love this recipe for grilled sausage with potatoes and green beans because it has nearly everything you could need in a meal, including tons of protein and carbohydrates, and it’s still incredibly easy to make. You’ll need to bring along plenty of potatoes and meat for everyone you are feeding, but throwing everything into a pot couldn’t be any simpler. Cleanup is easy too, as you simply throw out the aluminum that you cook it all together in. This one hits all the major food groups, and it will give you the energy you need during your camping trip this fall. Have some leftover potatoes from the night before? How about an appetite for something delicious that will give you plenty of energy throughout the day? If you answered yes to either, you’re going to love this Dutch Oven Mountain Man Breakfast. This hearty meal includes an entire pound of sausage, a full onion, 12 eggs, and nearly two pounds of potatoes. This meal will feed even the hungriest of your family members, and you’ll really feel the fall as you smell the sausage cooking as the cool autumn mist starts to roll out from the trees. One of your favorite parts of camping may be s’mores, but here’s something new to try this fall. If your family can’t get enough pumpkin during the fall season, this Pumpkin Pie Crunch is ideal for camping. It’s as easy to make as pumpkin pie, but will have your family really enjoying a creative camping mix on this classic recipe. There’s nothing like a nice hearty meal on a cool autumn day while camping in the fall. If you’re looking for something that hits the spot this season, consider the three camping recipes to get you in the fall spirit. One of the most important parts of your RV may be its tires. After all, you never know what sort of driving conditions you may come across, and the quality of your tires could be vital for the safety of you and your passengers. However, most drivers want to avoid changing their tires if it isn’t necessary, as wheels for your rig may add up to a hefty investment. 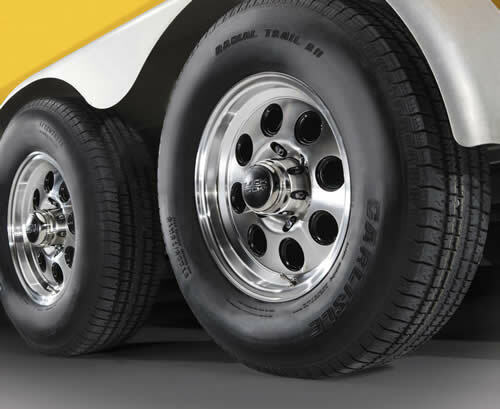 To make sure that you are safe on the road, here are some tips for knowing when to replace your RV tires. Some of these rules are similar to what you may expect for your everyday vehicle, while other considerations should be kept specifically in mind for your oversized rig. Here’s a look at when you should replace your RV tires. One of the first things to look at when deciding whether or not you should change your RV tires is the timeframe that it’s been since you last changed them. 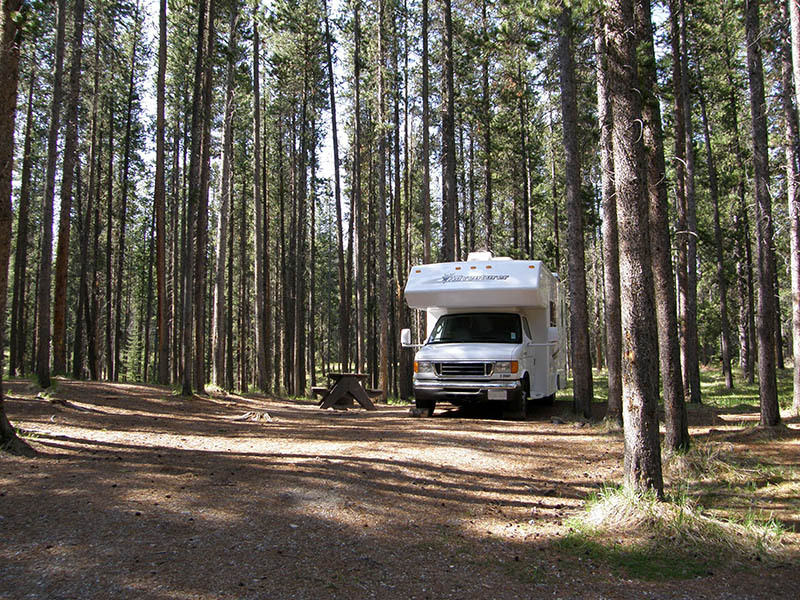 The common rule of thumb for changing your RV tires is anywhere between three and six years. If you are on the road often, and you think your tires need to be changed, then it may not be possible to last as long as six years. Then again, if you only take your rig out sporadically, then you may be able to push it up to that six year mark – although it’s never recommend going much longer than that. No matter what the timing has been since your last change, you should also give your tires a good look over before you head out on a road trip. If you notice that your tires are wearing unevenly, or if they have little tread left on them, then it’s important you change them before you hit the road. Every rig is different; as is the road you travel on. If your tires look like they are on the last mile, then change them sooner than later. What’s The Length Of Your Next Trip? Another consideration to make may be how long your next trip will be. For example, if you are planning on an extended vacation, then keep in mind that your tires will start to wear while on the road. Then again, if you are just going on a quick weekend trip, then you may be able to leave changing your tires until you get back. In any circumstance, your RV is an investment that deserves the utmost care. If you think your tires need to be changed, it’s always better to be safe than sorry. Blowing a tire while you are on the road will result in a variety of frustrating scenarios that you’ll have to deal with. However, if you plan in advance and make sure that your tires are ready for the road ahead, then you can do a better job of ensuring the safety of everyone inside your rig and others on the road. No matter where you are, a health emergency is something that we all want to avoid. And yet, there are plenty of emergencies that could happen and cause serious problems for you and your family. While you may not be able to avoid those emergencies altogether, you can prepare for them to help minimize their impact. What is even worse than an emergency at home is one that happens while you are on the road. While many people plan to pack their suitcase, set a destination, and hit the road for an awesome adventure, one thing that you may not prepare for is an unexpected emergency. But because the results can be disastrous for everyone in your vehicle, we want to help you stay as safe as possible. Therefore, here are some tips for how to handle health emergencies on the road. There are two different ways that you can plan for medical health emergencies, even before they happen. The first thing you can do is plan in advance all of the potential hospitals and other emergency medical facilities may be along the way. Keep these locations stored in your smartphone and you can easily access this information in the event you need it. The next thing you can do to prepare for a health emergency while on the road is to consider any health concerns that you may have that need to be thought of. For example, if you are a diabetic, then you need to ensure that you are checking your insulin and eating enough to keep your sugar at a healthy level. Many people get caught on the road and then forget to stick to their regular health regimen. If you are going to be traveling and have health concerns that need to be taken into consideration, be sure that you plan for them. This will help you tremendously to avoid any more serious issues. Keeping a list of emergency contacts with you in your vehicle will help potential emergency responders get ahold of family or friends. This call may be something simple to let your family know where you are, or it could be for much more serious matters. Pro Tip – Along with keeping a contact list with you, be sure to also tell your friends and family whenever you are traveling. Even if you aren’t checking in every few hours, letting others know where you are going will help to keep you safe while traveling. It can be difficult to evaluate the severity of an emergency. However, when you are behind the wheel, it’s important to err on the side of caution because of everyone else on the road. If you feel sick, light headed, or unusual in any way, consider pulling over to gather yourself. This could help to keep you safe, as well as other people who are on the road. An emergency while traveling could throw a major wrench in your plans. But with the tips here, you can minimize the impact and be ready for whatever comes your way.